A class-action lawsuit claiming state and local education officials are not doing enough to identify and educate Flint students exposed to lead-tainted tap water is moving forward. U.S. District Judge Arthur Tarnow brushed aside almost all the legal motions offered by attorneys for the Michigan Department of Education, Flint Community Schools and the Genesee Intermediate School District seeking to dismiss the suit. Stateside's conversation with Aaron Reuben, a doctoral student in clinical neuropsychology at Duke University. Switching Flint to water from the Flint River had devastating effects for residents, particularly its children. Dr. Mona Hanna-Attisha first sounded that alarm in the summer of 2015. 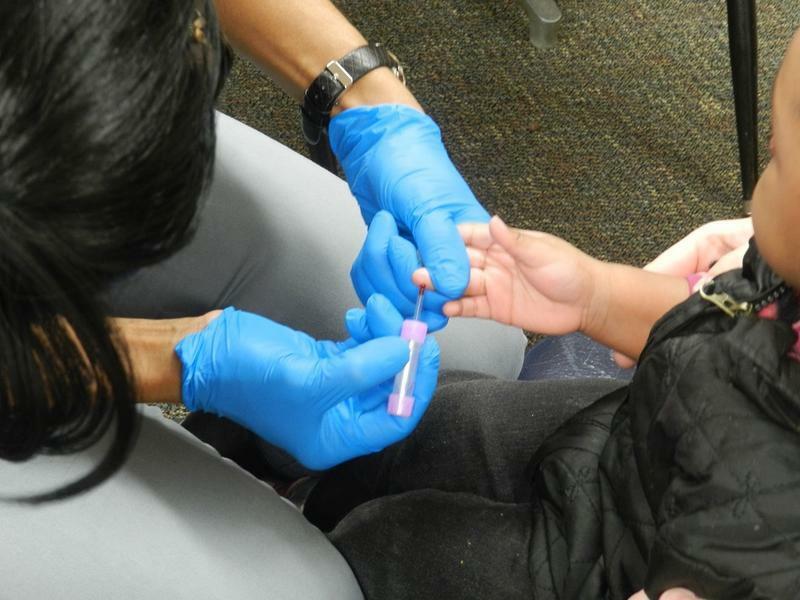 Her tests proved that after Flint switched the source of its drinking water, blood lead levels in Flint kids skyrocketed. And that was later confirmed by a CDC analysis. It found that children who drank Flint water had a 50% higher risk of dangerously elevated blood lead levels than before the switch. That analysis couldn't say exactly how many kids were affected, or what their futures hold. A study published today in the Journal of the American Medical Association may hold some answers. 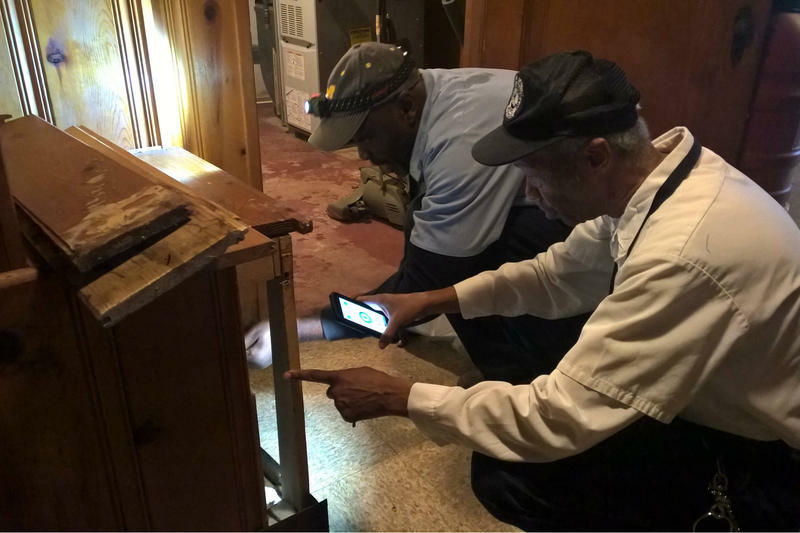 Researchers from Duke University studied childhood lead exposure and adult outcomes. 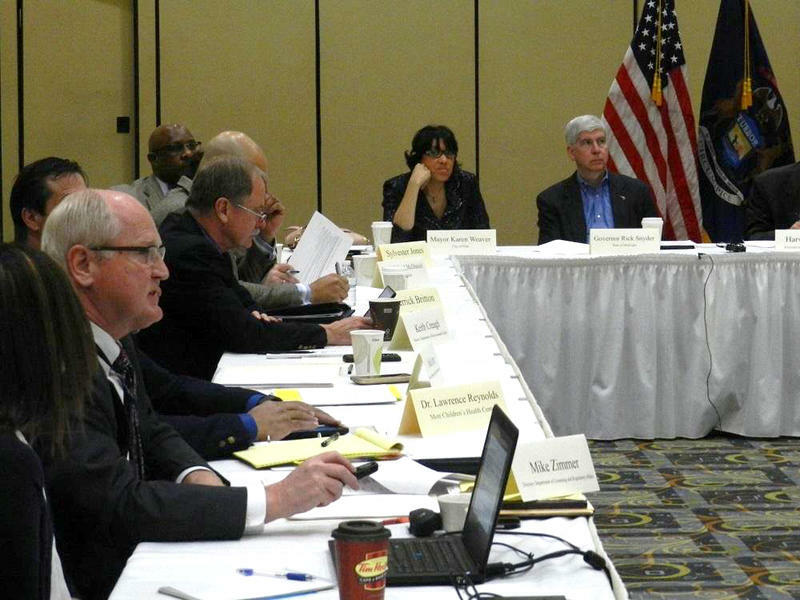 Some state lawmakers got an early peek at Governor Rick Snyder’s new lead rules that are supposed to be rolled out this week.l A top state environmental official shared some details in testimony before a state House budget subcommittee. New test results show lead levels in Kalamazoo’s water system have dropped. 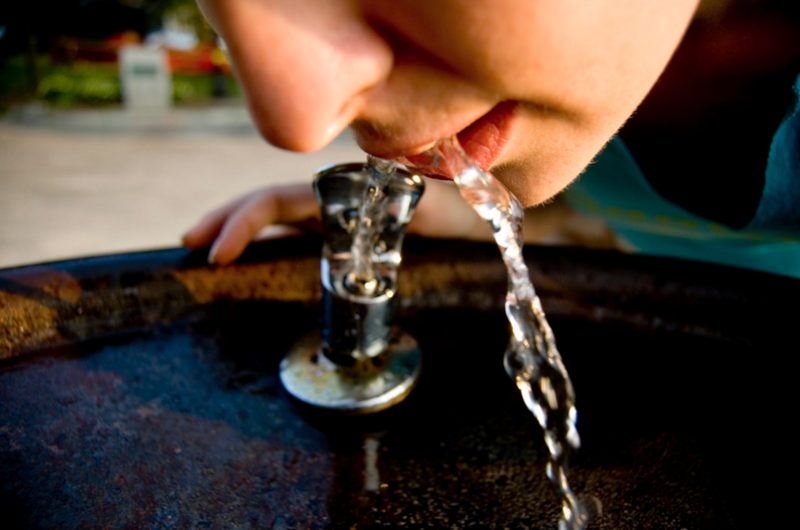 The federal limit for lead in water is 15 parts per billion. 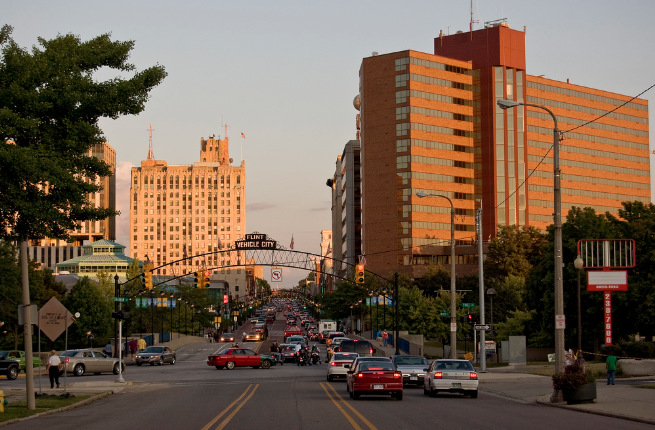 Last time the city tested, in 2014, Kalamazoo’s lead level was 13 parts per billion. Now it's down to 4 ppb. 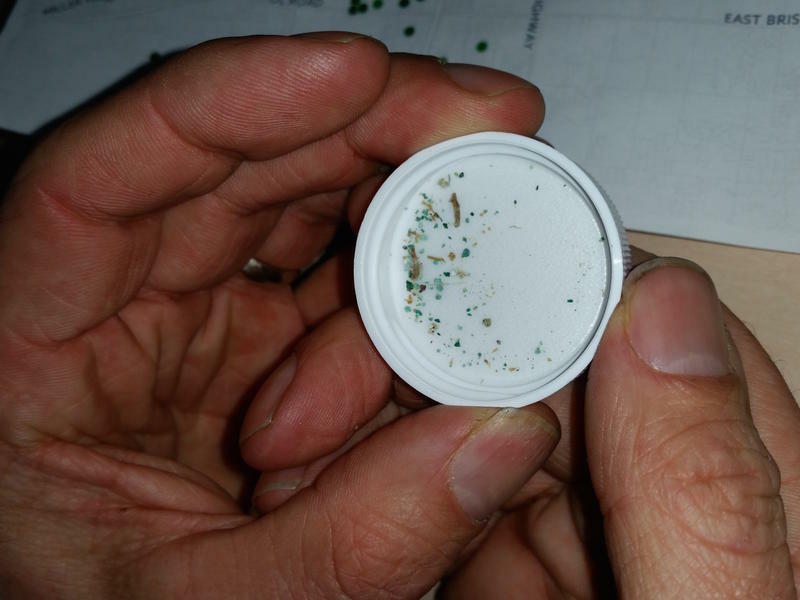 13 ppb was close enough to worry Shannan Deater, Kalamazoo’s Environmental Services Programs Manager. She says some of the higher lead results in 2014 weren’t really a good, representative sample. On Monday, federal authorities approved federal and state funding to help with led abatement in Flint. 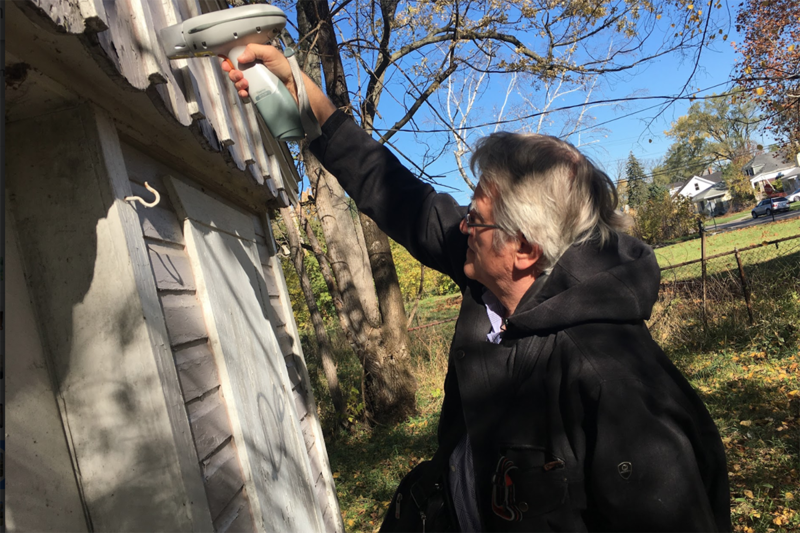 The Centers for Medicare & Medicaid Services (CMS) approved a Michigan State Plan Amendment (SPA) aiming to reduce and eliminate hazardous lead in homes in or near Flint — according to a press release. 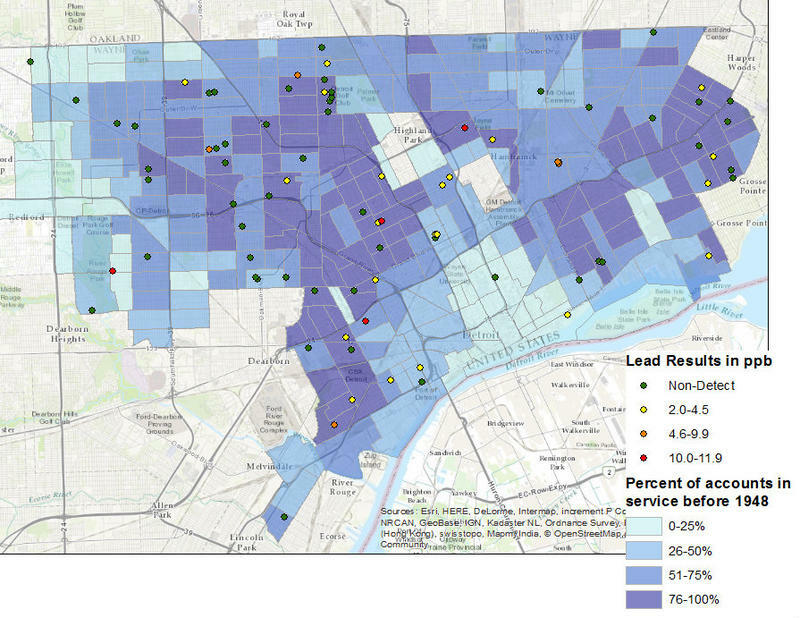 Detroit found more lead in drinking water samples this summer than it has in recent years, and there’s a few reasons to account for the uptick. 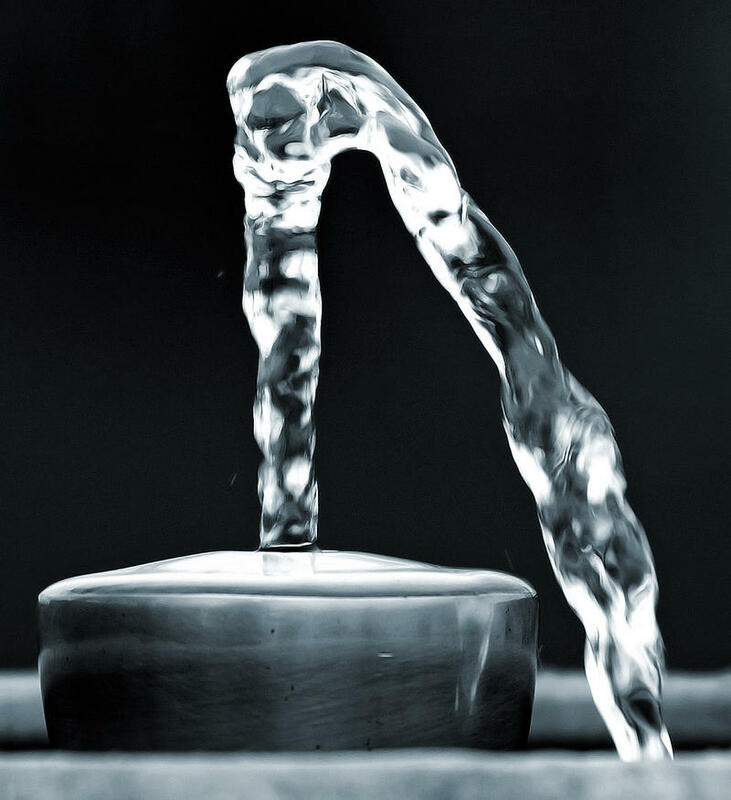 Unofficial results posted this month by the Detroit Water and Sewerage Department show Detroit’s water is safe to drink by federal standards. 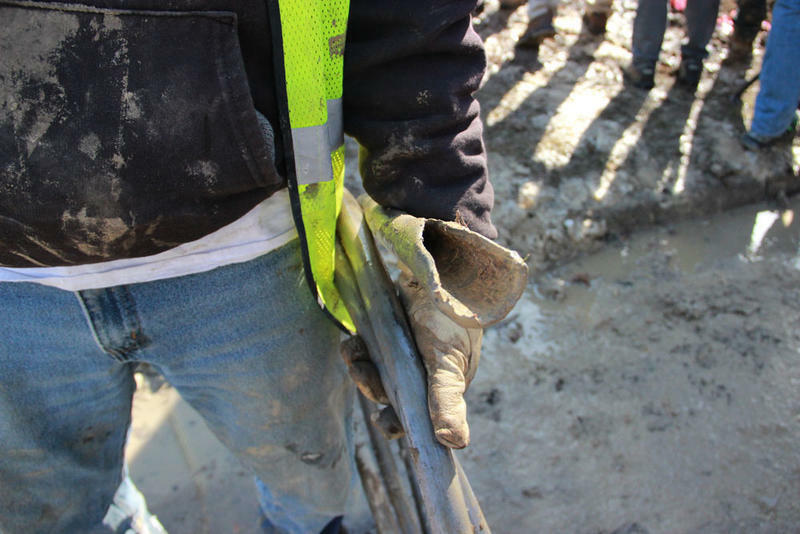 The hunt is on for lead pipes in Detroit. 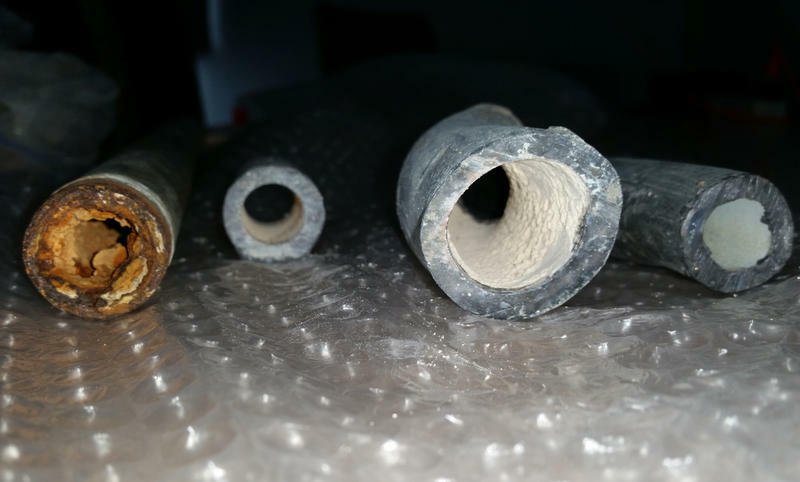 Flint officials still don’t know where all the city’s lead service lines are. That’s because the building records were in horrible shape. The state is advising schools to test their water for lead, even though it’s not required. 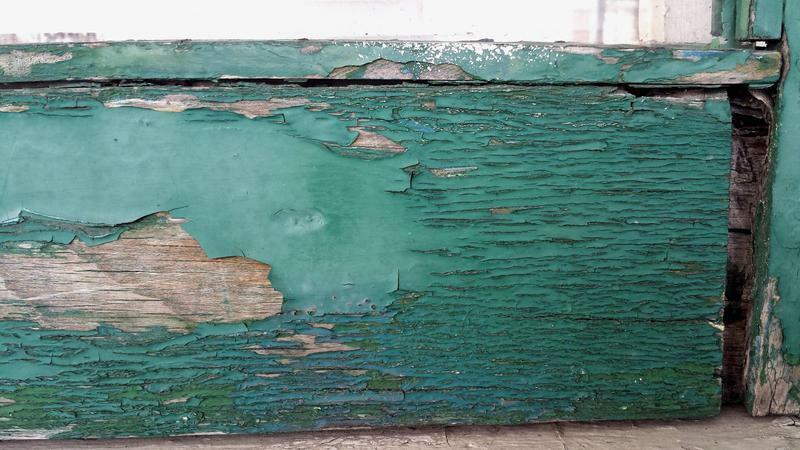 Michigan’s Department of Environmental Quality wants schools to take action, even if lead levels are below the federal standard. The federal action limit for lead in water is 15 parts per billion. 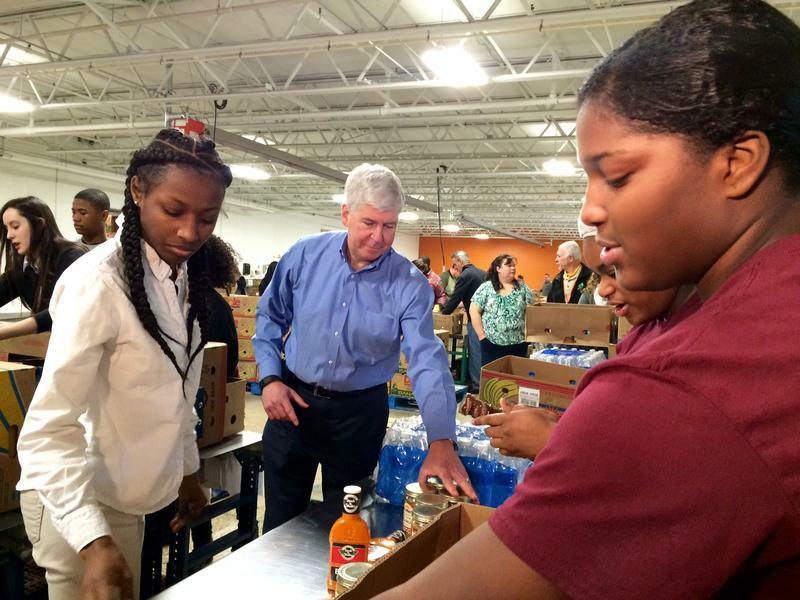 Governor Rick Snyder would like to see Michigan have an even stricter standard; 10 ppb. With the white-hot glare of worldwide publicity fixed on Flint, one might think the city would avoid doing anything to draw more attention. Like, for example, failing to pay the man heading the push to replace those lead pipes. Retired Brigadier General Michael McDaniel was appointed to lead the effort to rid the city of its lead pipes back in February. Seven months later, he hasn't seen a penny. There are several potential sources of lead in your home plumbing that can get into your drinking water. So how do you figure out what you have in your house? This question has been nagging at me for some time. At our house, we drink the water straight from the tap. 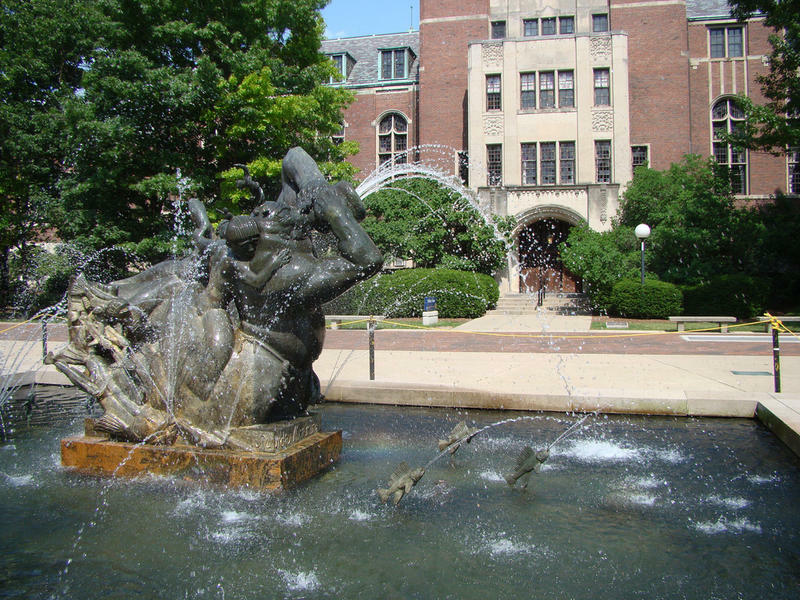 The University of Michigan says it's testing the drinking water on its Ann Arbor campus for lead and copper. The school say it's just a precautionary measure, adding there’s no indication anything’s wrong with the water. 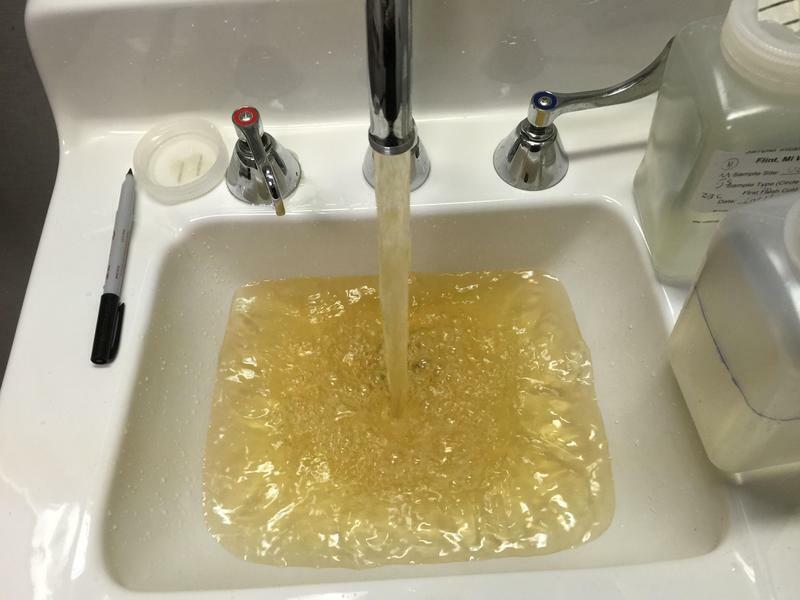 This kind of system-wide testing is becoming more common after the Flint water crisis. 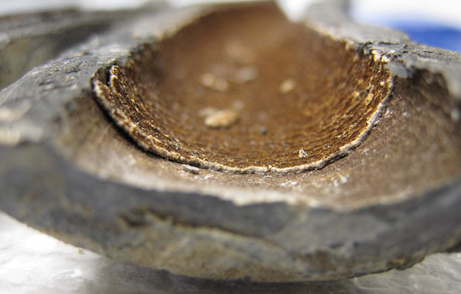 Flint isn't alone when it comes to problems with lead-contaminated tap water. 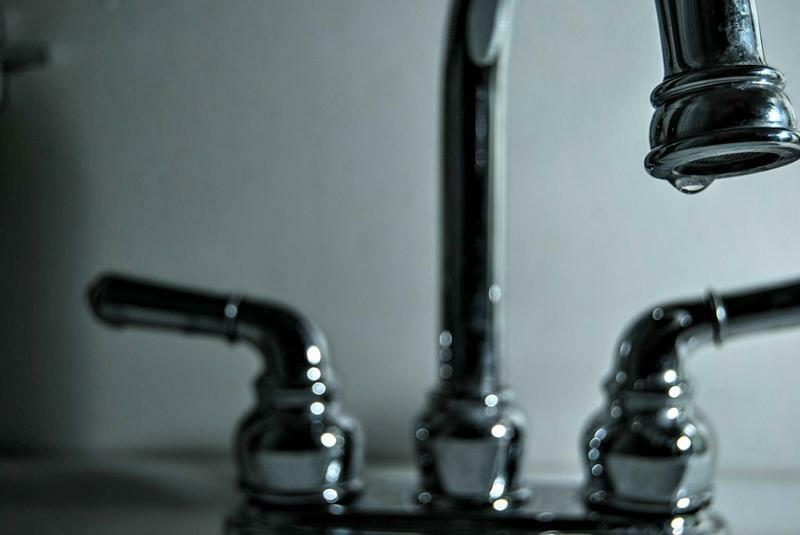 A new report from the Natural Resources Defense Council says more than 5,000 water systems around the country had lead violations in 2015. That comes out to more than 18 million Americans who were served by lead-contaminated water systems last year. The report, which analyzed data from the Environmental Protection Agency, may not even show how big the problem really is, according to Erik Olson with the NRDC. 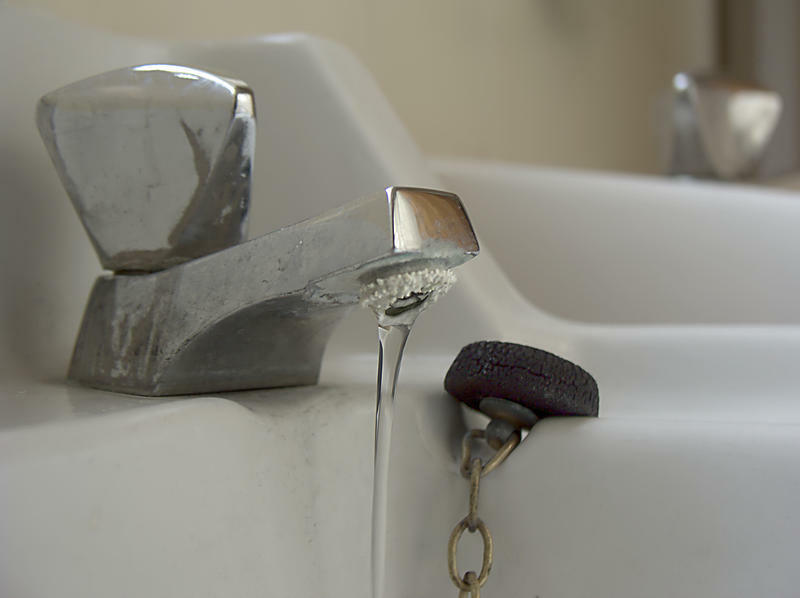 Drinking fountains in two buildings on Wayne State University's campus have tested positive for lead, according to university officials. 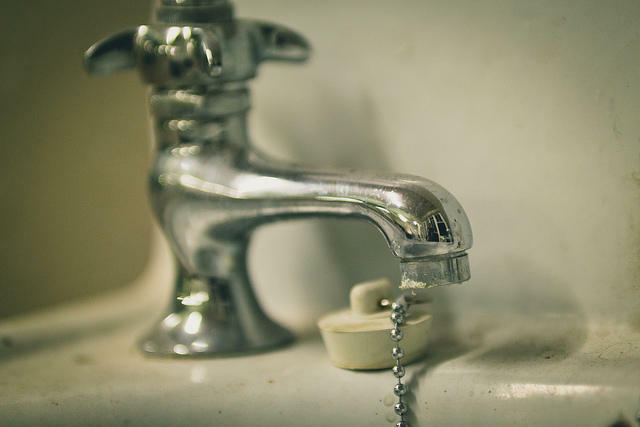 In a letter to the campus community, the university said it had tested water in 11 campus buildings, and found lead above the EPA action levels in two buildings – the College of Education Building and the Meyer L. Prentis Cancer Center Building. 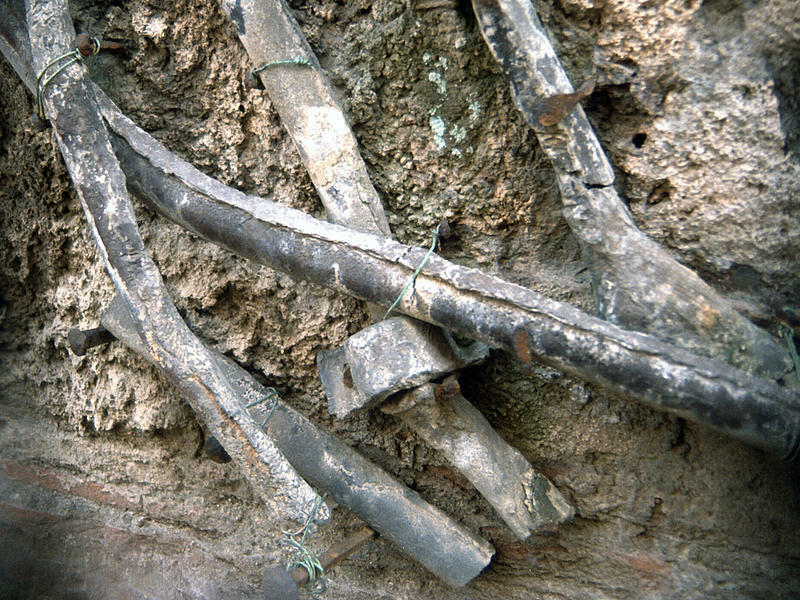 The water inlets to the buildings were free of lead. 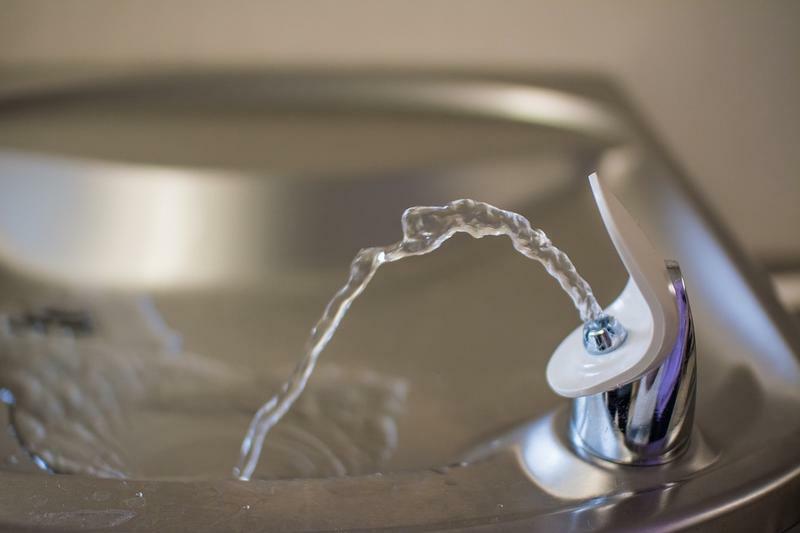 The affected fountains have been shut off, and the University says it will test all other drinking water sources on campus as soon as possible. Drinking lead-tainted water is out of the question, as is cooking with it and bathing in it. But what about gardening? 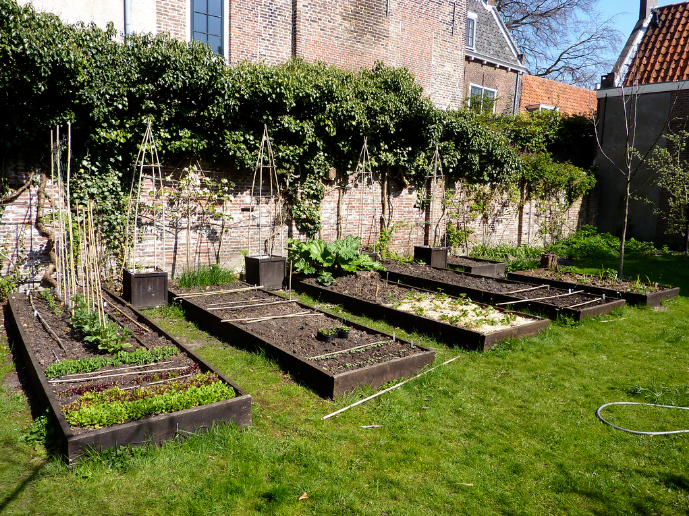 Is it safe to water your garden with leaded water through a hose without a filter? 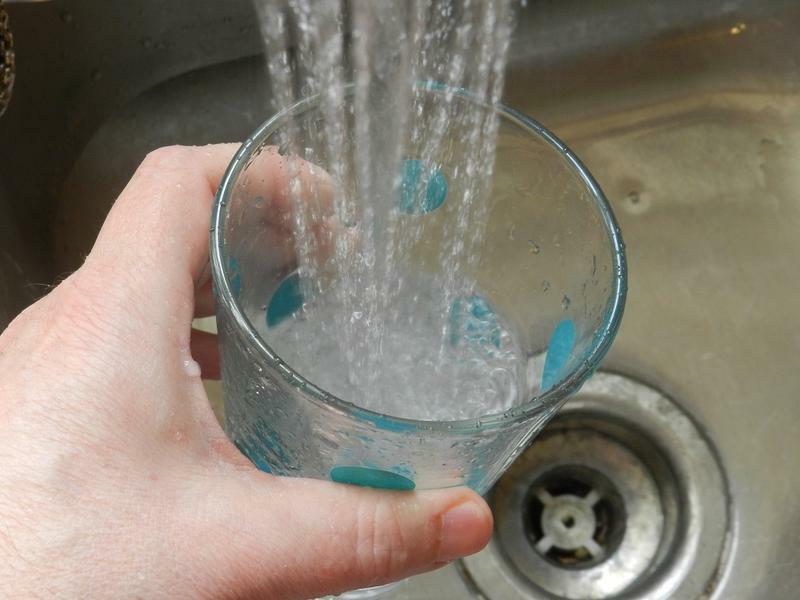 Could Michigan create the nation's toughest lead drinking water standard? Michigan would have the toughest lead testing standard in the nation under a sweeping proposal unveiled today in Flint, where the drinking water is still contaminated with lead and residents remain dependent on bottled water donations. 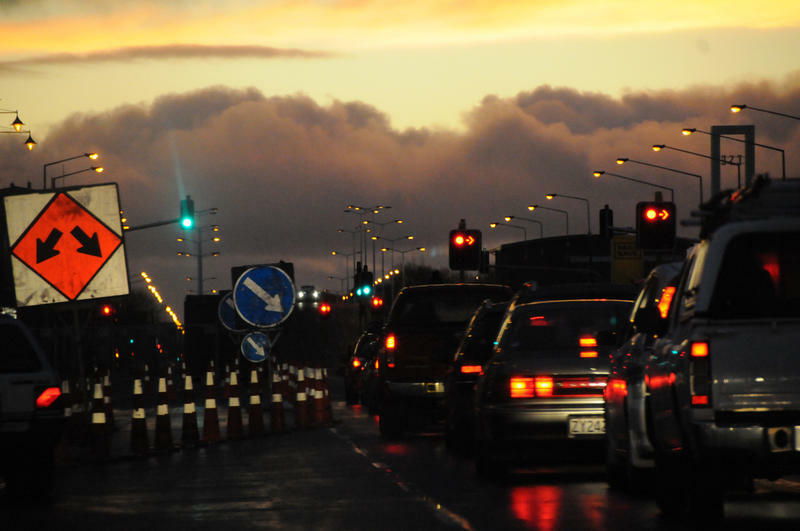 To make sure other Michigan cities don’t suffer the same fate, Gov. 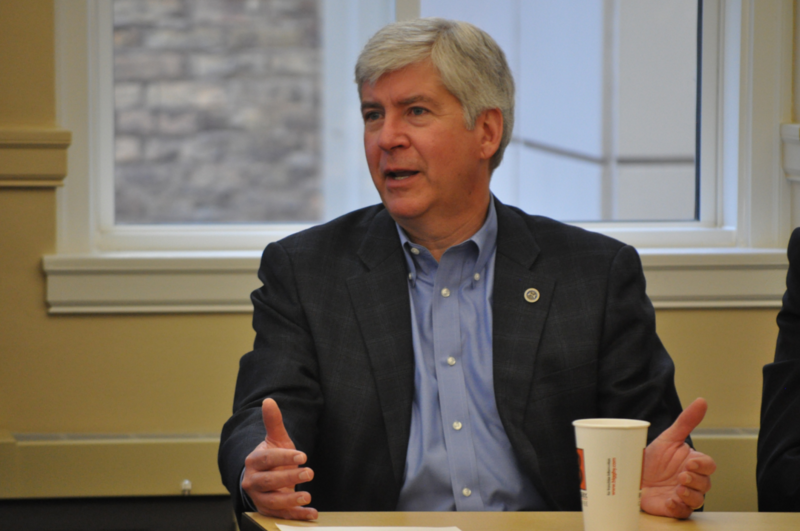 Rick Snyder and a team of experts have unveiled a plan to tighten water testing regulations and lower the threshold for action.